Betsoft Gaming gears up for ICE 2019 - This you cannot miss! With less than a week to go, Betsoft is preparing for one of the largest events in the iGaming industry. 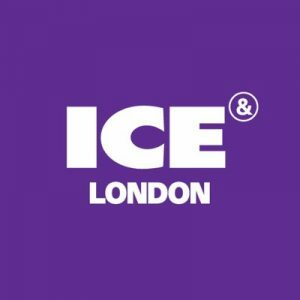 Beginning on February 5th at the ExCel venue in London’s Docklands, ICE 2019 expects to draw in record numbers this year. With that said, attendees will have a unique opportunity to try some of the most cutting-edge games by Betsoft. As you know, ICE is a great opportunity for iGaming professionals to discuss and see new trends in the industry. In fact, most game providers and platform distributors use ICE to show off innovation. And Betsoft is no different! In a recent press release, the innovative game provider announced they’ll be attending ICE this year. Plus, they plan to show their newest RNG titles on stand S3-312 at the excel centre. So if you’re an iGaming professional who needs a break from all the chatting and networking. You’ll definitely appreciate the opportunity to take a break from the mingling and play the hottest games of the year. Undoubtedly, Max Quest Wrath of Ra is one of the most popular games on the market right now. In fact, it’s a total shootout experience that redefines iGaming. Many online casino players are becoming real fans of this new game genre. And so we wouldn’t be surprised if Betsoft had a new game of this genre in the pipeline for 2019. However, they’ve not confirmed it yet. So, we’ll have to wait and see what ICE bring us. As we all know, frequently gaming operators use ICE to ink new deals with Casino operators. What’s more is that ICE provides an excellent window to discuss any upcoming titles. Indeed, ICE is where the game providers reveal their road map for the year. And so we’ll be there to give you an update if you’re a casino player who can’t make it! Stay tuned, we’ll report on even more innovation in the coming weeks!